Mix Packs - Beat & Mix loops. A Hip Hop and Electro fusion ripe with strong melodic tones and tight rhythms. The drums flow with a hip hop beat and fluid trap snare drum rolls. Drop these high quality WAV loops into your DAW or mixer and create hip hop gold. Another royalty free mix pack of uplifting trance loops. These trance loops are powerful and energetic that will put the dancefloor in a trance-like frenzy. Trance loops that are ready for your trance remix or production. A follow up Trance mix from Derek Palmer. Uplifting Trance Vol 2 is designed for positive vibes and roof raising energy that will move the dancefloor. Dowload these trance loops now completely royalty free. This trance loops pack will add energy to any mix. These are powerful and uplifting trance loops and samples that will have the dancefloor in a frenzy of raw energy and emotion. Dowload these trance loops now. A dark and twisted mix of dubstep loops that has been hand crafted with the creation of select dubstep drum samples and NI Massive synth parts that come together to form a sick dubstep mix. A catchy hook of a bass line combines with a solid rhythm of pop drums in these royalty free pop samples. Explore new possibilities and inspiration with pop loops that sync straight to your favorite DAW. Groovy and funky hip hop samples that are smooth like butter and immersed in melodic creativity. This is an exclusive hip hop beat equalized and cut into high quality and flexible hip hop acid loops. Heavy-spitting hip hop beats with a gnarly bass and smooth synths are found in these hip hop samples. This mix has a touch of old and new fused into a fluid funked-up hip hop mix ripe for rap vocals. Make your own beats with these cunning and creative hip hop samples that have been crafted with care. Clav Attack will infuse your studio with cutting edge synth and clav loops pumping along side a killer drum beat. These hip hop samples will help make your own beat into a fat and unique pattern. Loops include stabbing horns, ballsy brass, gliding synth and hard hitting hip hop drums. Hip hop loops worthy of your next beat. Thought Realm will open your third eye on a voyage to new hip hop beats. Synths flutter with chilling synthetic pianos and overbearing brass. Hip Hop samples with a thumping kick, rolling hi-hats and subsonic bass. 420 is a smooth hip hop beat mix to light one up to. Make your own beats stand out from the rest with these hip hop samples from Matreyix. These hip hop loops are a smokers delight and hit deep with bass and melody. A big and booming sound in these hip hop samples! A combination of earth shattering bass and thick pads combines with a solid hip hop tweaked synth to add that glisten to your music production and hip hop beats. Build your beats using exclusive and royalty free hip hop samples with smooth grooves and a tight rhythm. A catchy melody completes this hip hop beat and will inspire your next vocal hook or hip hop remix. A deep and daring rhythm is found in these hip hop samples that will help you make your own beats with more inspired intensity. This mix is perfect for laying down the dope lyrics of the MC who means business! These are smooth and grooving Hip Hop Samples ready to be plugged straight into your mix and help inspire your next chart topper. Matreyix brings another sick hip hop beat for rap vocals to be laid out over. Drop these pop samples into your mix and make your next pop beat with new inspiration. Trance and Pop elements are fused into this pop mix pack of loops. This mix pack and all its loops are completely Royalty Free. Push your listeners into a new zone with these hip hop samples. DJ Vance brings a brilliant Hip Hop beat mix of loops. This well composed piece includes a driving beat with synth and classy piano lines. Make your next beat shimmer with these hip hop samples from DJ Vance. Awake has a hip hop beat containing percussive synths & driven hip hop drum beat that will help inspire your next hip hop music production. Download hip hop samples with a smooth groove, lush organs and guitars over a fat hip hop beat. ALBM Productions does it again with this uniquely flavored hip hop beat that creates new boundaries. Download hard hitting Hip Hop Samples that will make your beat stand out with melodic overtones and numerous timing variations. These hip hop loops are idial for your next Hip Hop remix or production. Make your own dubstep stand out with these dubstep samples. New dubstep remix possibilities await you with these aggressive and dirty dubstep loops that are 100% royalty free. Download these smooth and engaging Hip Hop Samples from the mind of Eleanor Roosevelt and infuse your hip hop beat with class. There are 16 total Hip Hop loops ready to be synchronized in your DAW of choice. Make your own dubstep hit with these hard hitting dubstep samples from Xander Project. Hard hitting deep bass and filthy dubstep synth loops create a pounding beat perfect for your next dubstep production! Make your own beat with a modern vibe with these fresh hip hop samples from DJ Vance. A catchy melody and beat is all you need to take you mix to the next level. These are royalty free hip hop loops. Inject modern Hip Hop Samples into your mix with this direct download of hip hop loops. The beat has been crafted by hip hop veteran DJ Vance and rendered to acidized WAV loops ready to be dropped into your mix. Heat up your studio with urban electronic Hip Hop Samples. DJ Vance injects an off the hook flavor into these hip hop loops that is ready to be dropped and synced straight into your mix. Only Heaven brings Hip Hop Samples with a club vibe to your beat. DJ Moss drops deep hip hop remix possibilities with saxophone, brass, piano and flutes that will add dynamics and flavor to your hip hop beat. These Hip Hop Samples will take your mix to a new level with deep bass supporting a hook of violins on top of a grooving beat. This hip hop mix pack will allow you to make your own beat with a unique groove. Download house samples with pulsing and pumping construction options in the style of Deadmau5. A perfect selection of progressive house loops to chop up and remix into your own creation. Download IDM samples of neurotic synth loops and a slow grooving breaks loops underneath a twisted guitar synth loop with a hypnotic vibe. These IDM loops are completely royalty free and ready for your mix. Lush and beautiful pad and synth loops that groove over breaks samples drum loops. If you love breaks with a chill vibe then this mix pack is for you. Can be used in EDM, chillout and hip-hop music . productions. These chillout loops are a follow up to Vibes 1. This mix pack takes the chill sounds in new synthetic and percussive directions. 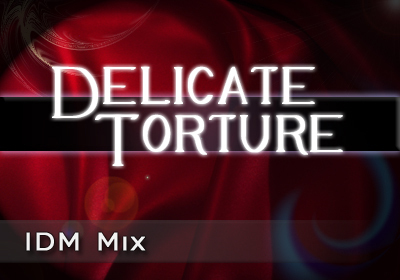 The mix has various chillout samples that compliment the melody as a whole. Download these electro house samples containing a wicked side chained bass loops and fat, hard hitting electro house drum loops. The synth loops further emphasize the hook of the bass and give instant inspiration. These Electro House Samples include a distorted bass loop that grooves with progressive drum loops and syncopated arpeggio loops. This Electro House mix pack will have your monitor speakers pumping. Download these smooth EDM loops with elements of electro and progressive house. A grooving bass loops compliments the gliding synth arpeggio loops and glitched samples and vocoder synth loop. A psy-trance mix with pumping and gritty Trance Samples. These trance loops have an aggressive psy-Trance style with a thick upbeat bass loop, gated synth loops and grinding synth sounds. Slick Breaks Samples with a smooth bass line that transitions into a 4 on the floor mix with complex and catchy melodies. If you like fat breaks with trancey synthlines then this EDM loops mix pack is for you. These Drum and Bass Samples and will take your next DnB production into fast and aggressive territory. This drum & bass loops mix pack is perfect for expanding your audio arsenal and taking your mix to new levels. These IDM samples will add time stretched stutters and a dark vibe to your next IDM music production. A german pad sits under a glitched piano and flowing synth line that compliments the strange and unique sound. Drum and Bass Samples & Loops with a wicked vibe and ready for your next Drum & Bass production. These are among the best drum samples for Drum & Bass drums and are separated into WAV loop components.